Yesterday my husband and I had the opportunity to go to the temple for the first time since the new endowment film was released. And even though the script for the ceremony was exactly the same, I was able to take away so many things I never noticed before. 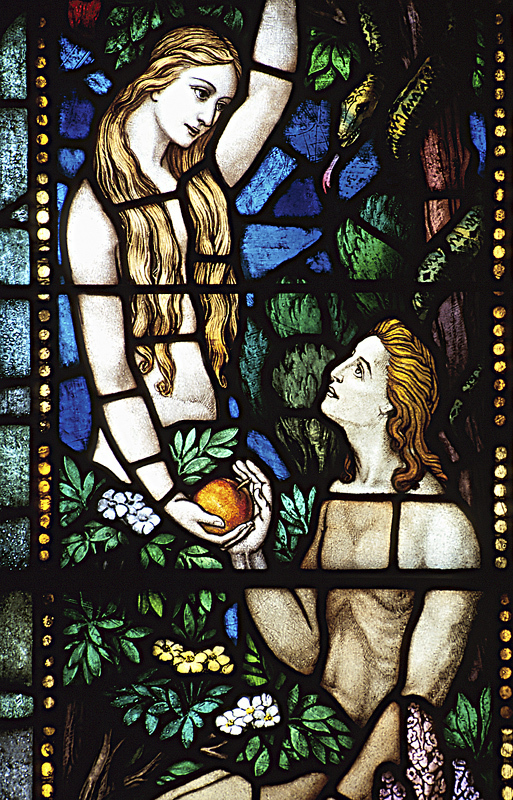 The most significant change for me to the ceremony was the scene of Eve being tempted. The two films could not have BEEN more different on the subject. First of all, Eve in the new film is very thoughtful. She pauses, she thinks before she responds, she comprehends her choice, and its impact. And before she partakes of the fruit and asks what has always seemed to me a brilliant question--she sheds a tear. She mourns. She feels pain, and not just any pain. Something very significant--a recognition that she is about to leave her God, her home, and possibly even her husband. Even in her innocent state, she feels this, comprehends this reality. Let me be the voice of reason here for a second and remind everyone that Adam and Eve are innocent at this point. They can't comprehend good and evil, virtue and vice, health and sickness, pleasure and pain... can they? Or is that a half truth as well? Consider the source of that information. And with that question, so much opens up for our consideration. If Eve can't feel pain, why is she crying before she even partakes of the fruit? If Adam can't comprehend moral choices, why is he so adamant about keeping all of the commandments? Being innocent is not the same thing as being stupid--and Adam and Eve certainly were not stupid. The heart is eternal, and in their hearts was a great wealth of knowledge and understand which shows through them, even in their state of innocence. Although they were not capable of full moral agency, or much of the experiences which they would gain through being mortal, they were certainly capable of more than I realized, even in the state of being innocent. I have long believed that Eve was much more aware, much wiser in her choice to Fall than I was ever able to prove in words. But the new presentation of the endowment gives voice to that understanding in a way that I never imagined before. It is yet another gift which worshiping in the temple has afforded, a gift I could not have received in any other way. I know that God has a plan for all of us here on earth. He is very aware of us, hasn't forgotten us at all. From the very beginning, He planned our education and salvation. He planned our return to Him, and sent His Son to be our Savior so we could return home to His presence. But more importantly, because of Jesus Christ and His atoning sacrifice, we are able to have so much joy and connection to God, here and now, that wouldn't be possible without Him. And when we worship in the temple, I feel like I come closer to God than in any other place I could be. I know it is the house of God, the place where I can know Him and all He has done for me. I know that Joseph Smith was a prophet, and that he restored the true organization and worship of the temple here on earth. I know the Church of Jesus Christ of Latter-day Saints is the true church of Jesus Christ here on the earth, and I leave you my witness in the name of Jesus Christ, amen. The Sealing Power: "On earth as it is in Heaven"
What is the sealing power? The Prophet Joseph Smith received the keys to use this power from the prophet Elijah in 1836. (See D&C 110) Joseph Smith sealed those keys and powers upon his successors, to our current prophet today, Thomas S. Monson. President Monson is the only person on the earth who possesses the sealing power as given to Elijah and the prophets and apostles of old. 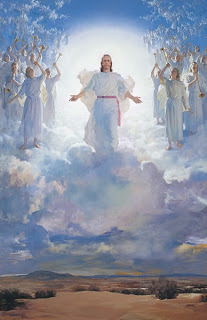 While he may delegate those powers to other men throughout the world to make them accessible to us, all those who have received the sealing power can trace their authority back to the prophets of the Church of Jesus Christ of Latter-day Saints. How is the sealing power used today? The primary purpose of the sealing power in our lives today is to be sealed together for time and all eternity in our families. By entering into one of the many temples throughout the world with our families, we are able to stand before a man with this authority, and he declares that our family will be together forever. God honors this declaration on two conditions—that the sealing was offered by someone who possesses the proper authority, and that we honor the promises which we will make with God at that time. They are no different than the covenant we make at baptism—therefore, if we will continue to obey our baptismal covenants, we will always be worthy to be sealed in the temple. So, what is an eternal family? 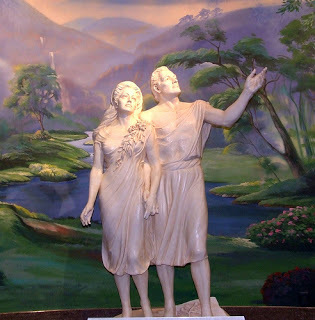 In the strictest sense, an eternal family is a husband and wife who have made covenants in the temple to be together for time and all eternity. 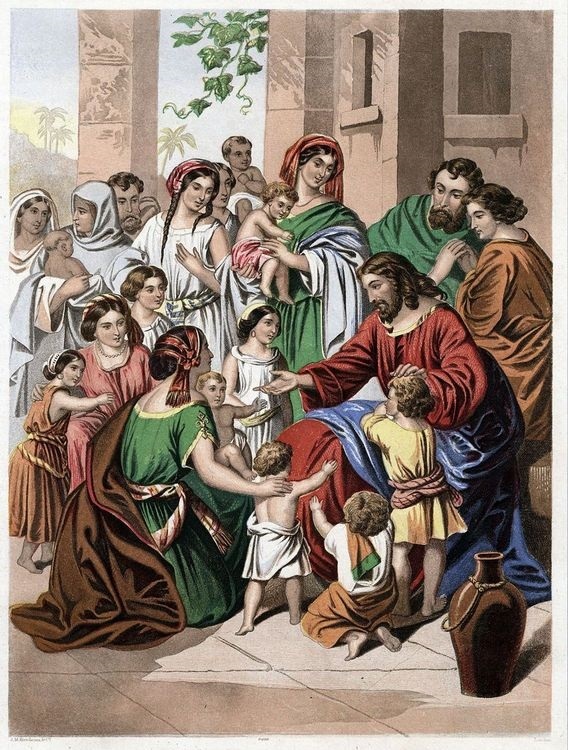 The children who are born to them after their sealing are born in the covenant, and will automatically be sealed to them if the children accept the gospel for themselves. Children may also be sealed to their parents and choose to become part of an eternal family after their birth. Being sealed to our families provides us with the blessings we most desire in the Church. Because they are so important, problems and misunderstandings with regards to being sealed can be some of the more painful experiences we have in the Church. I want to address some of these today through questions I know many of us have. 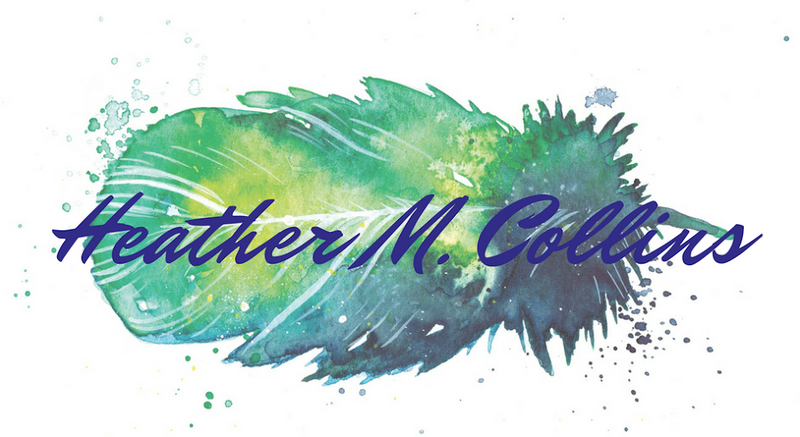 I pray that as I address these sensitive subjects that I will be able to provide you with helpful suggestions, peace of mind and heart, needed healing, and a more determined resolution to serve the Lord in his great work of Salvation. How can the blessings and promises of the sealing power bring me closer to my spouse? Adam and Eve provide the example which every couple desires to follow. When Christ was teaching this doctrine, he was not referring to marriage. He was referring to something far more permanent. It operates under the assumption that the relationship does not exist until death do you part, but continues after death. The entire purpose of being sealed is to become united in love and trust with your spouse. It is the opportunity to create an unbreakable bond with someone in a spirit of openness and honesty, sharing yourself with someone you can trust to love and appreciate you for who you are. It is an equal relationship of acceptance and kindness, where any injury felt by one person is felt by the other. What happens if I am not sealed to my family? Will I still be able to be with them after I die? 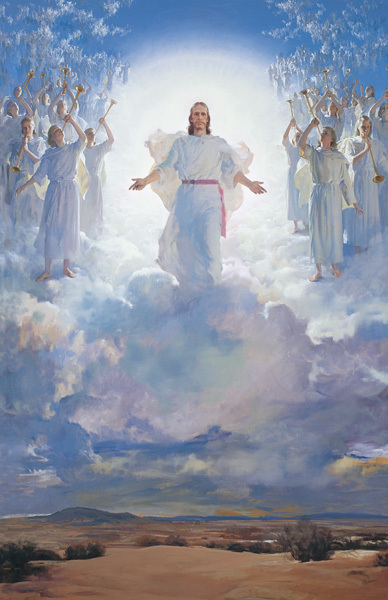 We will all live again after we die because of the Atonement of Jesus Christ. Because He was resurrected, we all shall be resurrected. We will become immortal, never to die again. This will happen regardless of who we are or what we do—it is a free gift to help us overcome death. Therefore, O my son, whosoever will come may come and partake of the waters of life freely; and whosoever will not come the same is not compelled to come; but in the last day it shall be restored unto him according to his deeds. No one will ever be prevented from coming to God who wants to be in His presence. But the condition will always be that we keep His commandments. (D&C 76: 50-53) If we want no one to be left behind, we have to decide that individually for ourselves, and together as a family. When each family member feels responsible for their part of an eternal family, this is when a family can truly progress together. What if my family members have chosen not to receive the gospel of Jesus Christ and are not sealed to me? With time and patience, every good person who deserves to live in the presence of God will make it back to His presence. I believe this because I have seen it powerfully enough in my own family. I was promised that my father would accept the gospel if I would pray for Him and forgive Him for all that has happened between us. This was the hardest thing I have ever been asked to do. My father and I have been estranged for nearly 10 years, and we did not reconcile before his death in 2009. I still struggle to be at peace with him—but that is because of my own weakness. He has since accepted the gospel, has become a priesthood holder, and I trust that he praises God every day for giving Him a second chance. If my father can be baptized, anybody can. If my father has a hope to be sealed to his family, to become a member of an eternal family, every person on this earth can receive that blessing. My father’s life is a testimony that everyone can be saved by the Atonement of Jesus Christ. My mother is not interested in the Church, and at times I wonder if she will ever accept the gospel. But then I remember that she has an entire wonderful family on the other side of the veil waiting for her. My mother is the perfect example of someone who cannot be saved without her family. She loves her family more than anything in this world—it’s the closest thing she has to understand what believing in God is really like. She would change her entire life to be with her family forever. And they love her dearly. They reach out to her continually. The times she is most receptive to the gospel are when we are discussing her family history. She loves to talk about it, and to be touched by the lives of her ancestors. She craves that association. When my mother truly understands the doctrine of eternal families, she will be baptized. Because I know her, I can also say with confidence that she will probably refuse to be baptized for any other reason. In the meantime, I need to continue providing the ordinances of the temple to her family members—linking them to her so that she might receive this blessing. So much depends on us doing our genealogy and family history work. And I know that if the veil could be parted for just a moment, for us to see our kindred dead who have passed on, we would see them all around us—helping their descendants who need to receive the gospel. I love my ancestors, and I know that because of the ordinances of the temple, we will be an eternal family someday. If there is still a lot of work to do in your family, don’t lose hope. Keep trying. Good things will happen if you are patient and persistent. What if my family members are sealed to me, but they choose to leave the Church and choose not to live according to the Lord’s standards anymore? Will they still be sealed to me forever? There is a temptation to think sometimes that as soon as someone decides to leave the Church, or break a commandment—that’s it for them. Especially if they went through the temple—they are punished even more severely for falling short of the glory of God. They don’t qualify for any more help, they get no more blessings, and God is so offended with them that He literally turns His back on them. The justification that comes along with this belief is that we don’t need to do anything to help them because they made their choice. If they want to come back, they’ll come back—and they are only worth our time if they decide to stay. But the scriptures are full of examples of God doing the exact opposite. God understands that when we push Him away is when we need Him the most. We may wonder if He has forgotten us, or our family members who have strayed, but He NEVER stops trying to save His children. He would never give up on His children because they are precious to Him! 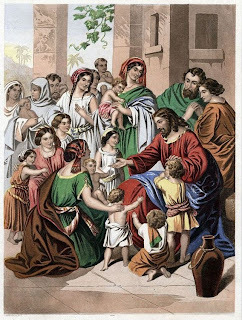 Many times, the help He extends to those who have wandered comes exactly because they ARE sealed to Him and to their families. He has every right to decide to uphold His end of the agreement, even when they have not. I saw Him do this often as a missionary. He wants you all to know that He is still doing this today—here, now—for every family in this ward. 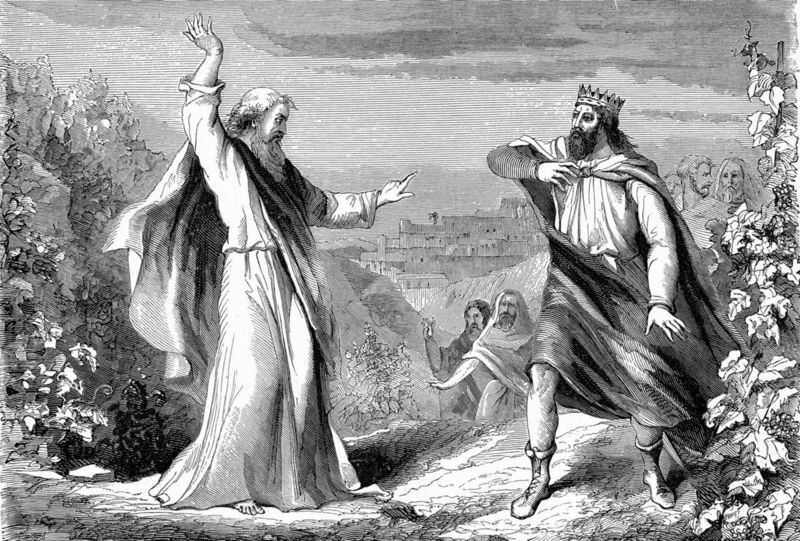 It is not up to us to decide who God should try to save, and who has wandered too far for too long. There is NO SUCH THING as too far, or for too long. God doesn’t believe in it, and neither should we. He loves all of His children, and if we could fathom that love enough, we would not be sitting here—content, and sometimes even bored. We would be on our feet, saving souls. And if we are the soul who needs saving, we will be wise and ask for help. I promise you that if you will approach Our Father in Heaven in prayer, and ask Him what your family needs most in order to become an eternal family, He will answer your prayers. He will instruct you through the Spirit what changes you most need to make to come closer to that goal. If you implement that instruction, I cannot tell you what will happen. But our God is a God of miracles, and I know that at the very least, it will be exactly what you needed all along. I know that this Church is the true Church of Jesus Christ here on the earth. I know that Joseph Smith was a prophet; that he was endowed from on high with the sealing power. I know President Monson holds that sealing power today. If we will make the necessary sacrifices, we all can be sealed to our families forever. I leave my witness with you that Jesus is the Christ. Every good thing that comes into our lives is a blessing from His Atonement. May we love Him more fervently and with more devotion is my prayer, in the name of Jesus Christ. Amen. I have been a part of the Latter-day Saint blogging community since 2007. I have seen the birth and death of many trends--start to finish--and the evolution of many topics over that span of time. One of the topics that existed on the periphery back in 2007 and 2008 when I was a fledgling blogger was the topic of Mormon Feminism. It was attractive to me in that season of my life--girl of 17, recent convert, only member in my family. The idea of feminism was entirely new to me, and I wanted to discover everything there was to know about the history of female empowerment. For my personal progress projects, I did historical research and reading on the suffrage movement and the history of feminism. I read about Emmeline B. Wells and the history of the Relief Society long before Daughters in My Kingdom was published. I studied the women of the scriptures, and the relationship women had to the priesthood (which culminated into this post.) I bought my first copy of The Feminine Mystique by Betty Friedan, and I appreciated much--but admittedly not all--of what she presented. I felt challenged by the change in perspective that my new discoveries brought me, and I couldn't get enough of learning more. But if you were to ask me today if I am a Mormon Feminist, I would tell you that I am not. Why? Because as a movement, I find them to either be totally lacking in focus, or their focus to be misguided. In many ways, I don't find most of those involved to be feminists at all. Feminism, historically speaking, is not just a label that women decide they're going to claim one day. It isn't just a group who bands together who think women ought to be equal, and they discuss how much they believe in the fact. 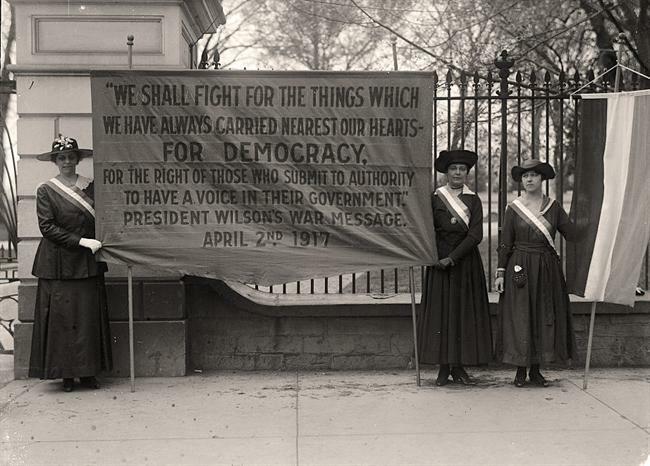 Feminism in every stage of its development, was one of political action. It professed to change legislation, labor practices, and the larger sources of inequality throughout society. It began with women's suffrage, expanded to equal work opportunities and equal pay, and the equalization of men and women in higher education. They spearheaded the Equal Rights Amendment, which the Church was directly opposed to for a plethora of reasons--the least of which included abortion, involuntary military service for both men and women, etc. 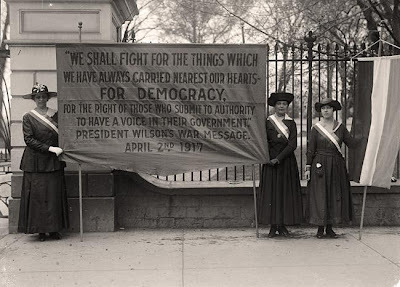 Alice Paul. 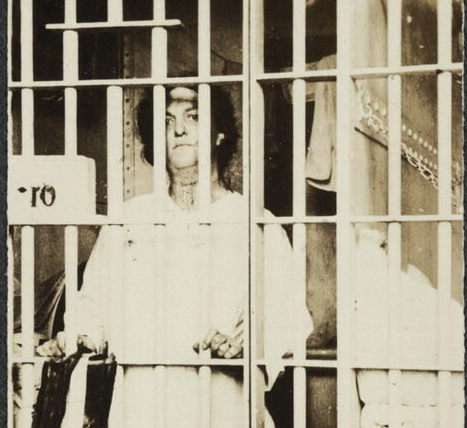 Imprisoned for supporting women's suffrage. To prevent her from dying from her hunger strike and gaining more supporters, she was force-fed through a feeding tube. This is a Mormon Feminist. I daresay, the ORIGINAL Mormon Feminist. 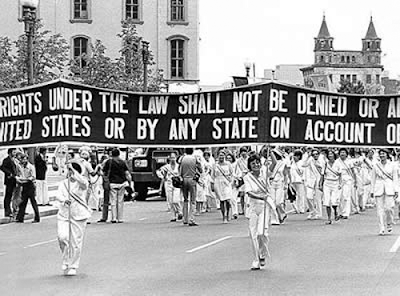 These are supporters for the Equal Rights Amendment. Church leadership at the time this amendment was being voted on encouraged all church membership to vote AGAINST the Equal Rights Amendment for a variety of reasons. One of the reasons was abortion. The other was the possibility of involuntary service being required of both genders. The vague language of the amendment left too many loopholes which could be used against women. And it's at this point in history that Mormon Feminist becomes an oxymoron. Not because Mormons don't believe in the equality of men and women (because we do,) but because the term "feminism" came to represent political views which are against both the teachings of Jesus Christ and the policies of His Church. Not the least of which is abortion, but there are a plethora of others. A basic search on LDS.org for "Equal Rights Amendment" will produce the historical rationale on that issue. But this historical nuance isn't the whole reason that I do not identify myself as a Mormon Feminist. The heart of the matter is that feminism is about activism--REAL activism. They change legislation. They change labor practices. They change society as a whole. They identify the problems and obstacles that inhibit the equality between the sexes, and they seek to rectify them with significant change. I do not participate in anything that could even be remotely considered real activism. Ergo, I am not a Mormon Feminist. When you look at the people who claim to be Mormon Feminists, they also do not (yet) fit this description. Their "activism" is irrelevant to the point of being comical. What is their agenda? What are their accomplishments? What is their purpose? 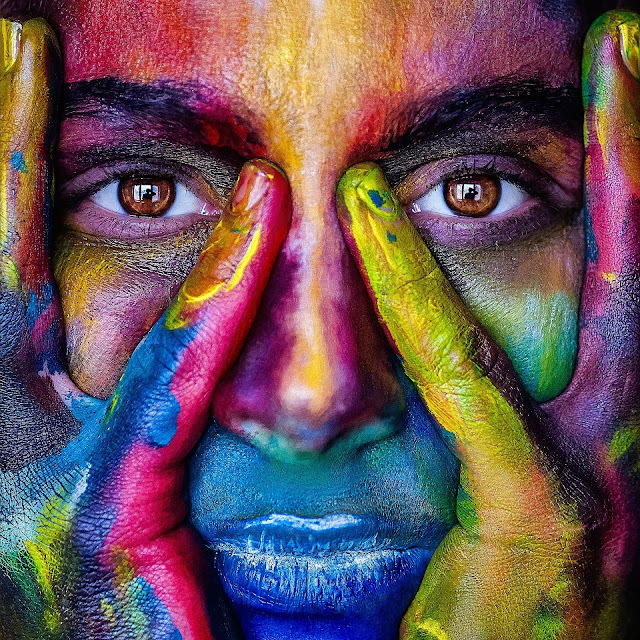 One site for Mormon Feminists identifies that there really IS no unified objective because they have not even begun to agree on what "equality" is supposed to mean. I won't speak to grown women and try to define what equality means. They own dictionaries, they can look it up themselves. However, I will remind them what equality isn't. Equality is not wearing pants to a Sunday service. There was never any rule in place telling women they couldn't wear pants to Church. Just because your mother never let you do it doesn't make it Church policy. You can wear pants to Church if you so choose, and there are no repercussions whatsoever for doing so. The only one keeping a sister from wearing pants to Church is the sister herself. Equality is not women praying in General Conference. That a woman had never before prayed in General Conference was something I had not even noticed until the Mo-Fems (Mormon Feminists) pointed it out. It was something I failed to notice because I had seen women praying at the opening and close of Sacrament Meeting throughout my entire experience in the Church. As far as I was concerned, it was something more accidental than traditional that a woman had never been asked to pray in General Conference. And my life, as a female member of the Church, was not altered in the slightest because a woman prayed in General Conference. Now, the Ordain Women movement, although misguided, at least has the good sense to have a real objective. This is a step in the right direction if you're going to claim to be an activist. However, I find that these women also look beyond the mark because they fail to see the power and potential of the sphere the Lord has already given them in Relief Society. Their argument is that women's voices are not heard in the Church because they are not allowed to hold leadership positions. They figure, "Women don't hold the priesthood, ergo a woman will never be President of the Church, ergo women are not equal. It follows that the only way women will be equal and have their voices heard is if they hold the priesthood." Ad nauseum. However, when Joseph Smith helped the sisters to organize the Relief Society, he didn't give them permission to organize themselves. If you look at the history, he gave them something much more important than that. "I now turn the key to you in the name of God, and this society shall rejoice and knowledge and intelligence shall flow down from this time." The KEY which Joseph Smith turned for those women was the key of priesthood. By bestowing on them the powers and authority of the priesthood, he gave them the power to govern themselves according to the power and example of the priesthood. The Relief Society is an organization run by women, for women, and by the endowed power of women. And by what is their power endowed? The priesthood. Women gain the ability to exercise their claim on the priesthood through the Relief Society. So when I say that women do not need to be ordained to the priesthood in order to exercise it, it isn't because I want to make things sound better than they are. It's because the Relief Society was designed with EXACTLY this purpose in mind. The problem is, most women don't recognize it. In every way that the Relief Society is boring, uninspired, unenlightened, and lacking in power and direction, the women only have themselves to blame. You cannot blame the men--they have never been in charge of the Relief Society and never will be. The women need to be the change they want to see in the Relief Society. The endowment from the priesthood they receive in that organization is one they will not find anywhere in the world, no matter how well they might organize, no matter how many blogs or how many Mo-Fems they assemble. The access for the Relief Society to have influence on the Church exists on both the local and General levels. Through ward counsel, the Relief Society President is able to voice her interests and the interests of the sisters under her stewardship. The Young Women president does the same, as does the Primary President. In my experience, the women leaders who do not have their voices heard by the brethren are only the ones who choose not go to ward counsel. 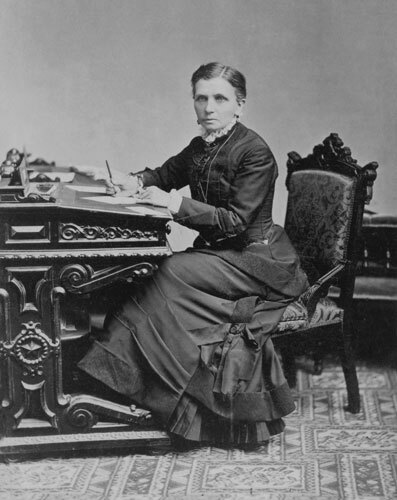 When the age for missionary service was lowered, the General Relief Society, Young Women, and Primary presidencies had equal voices in that decision. The Brethren relied heavily on their input, especially in regards to lowering the age at which a young woman could serve a mission. I would go so far as to say that if those presidencies thought it unwise to lower the age for sisters, their age of service would not have been changed. The degree of respect the Prophet, his counselors, and the Apostles have for the ladies in these presidencies cannot be overstated. Nothing happens for or on behalf of the sisters in the Church without their approval. That was the right and stewardship Joseph Smith gave to the sisters from the moment the Female Relief Society was organized. Some women think they need to change the Church in order to achieve equality between men and women. But the Lord has already given us everything we need to be equal as His sons and daughters in His Church. It's up to us to change ourselves, to be Christ-like enough to achieve the equality we seek. So what is the real source of inequality between men and women these days? If Mormon Feminists want to make my life/their lives better as women, these are the problems they need to set about solving. This is the source of inequality between me an my husband, between myself and my male peers. We live in one of the only countries in the developed world with no mandatory paid maternity leave for men and women alike. Women are the ones who are expected to leave the work force to raise children, and the workplace does not accommodate for either parent in terms of maternity leave and child care. Every woman knows this, every woman feels this strain, has weighed these options and does not have a real solution to her problem. As long as this continues to be an issue, women and men cannot truly be equal in the home or in the workforce. Yet nothing is done to improve the situation. Many in my generation don't bother getting attached to going to school, to having a career, or staying in a career because they know they'll just have to leave when it's time to have children, and it becomes nearly impossible to return to work at a decent pay. This is a reality especially perpetuated in the Church because of the (true) emphasis of how much her children need her in their formative years. Who better to do something about this than the Latter-day Saints? We are to this issue what the Quakers were to abolition. No one is more prepared to solve this problem for women who NEED these solutions than we are, because we are prepared to speak with both voices. The voice of the mother, and the voice of the workplace contributor. And completely tied into our interests are the needs of the children who are also affected by these challenges. I would go so far as to say that we may be the only group of people who can fully wrap our minds and hearts around these issues. So instead of beating the dead horse of no moment over pants and BYU Memes, why don't the Mo-Fems get into the market for a real purpose? The life they make better through the process might just be their own.